I know many of you have seen posts about this pattern already, but I just had to share how much I love this bag. 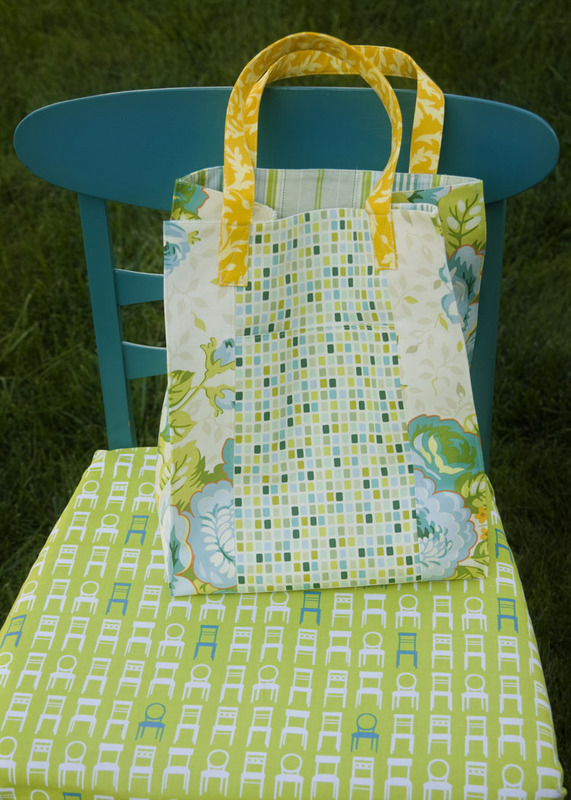 I bought the pattern for the Jane Market Tote just last week because I thought it would be perfect for the new Heather Bailey home dec fabrics that I fell in love with. 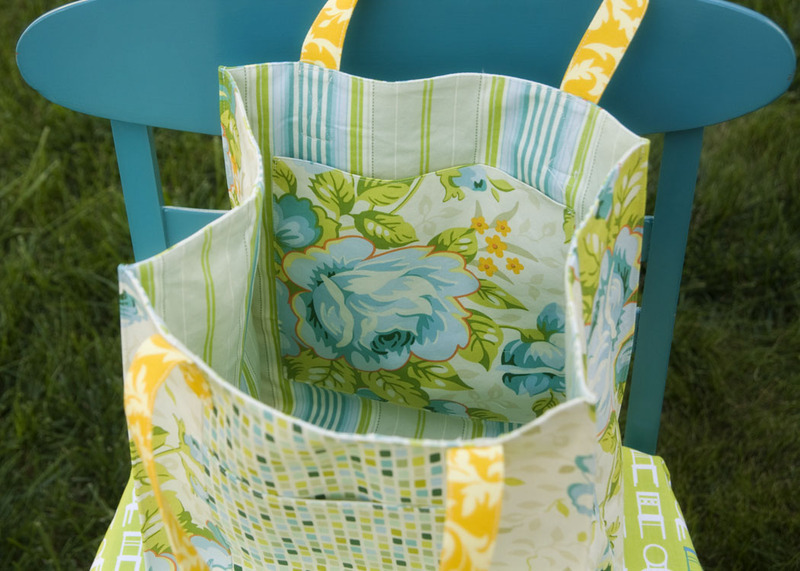 The Market Tote is a great little pattern. I was able to put it together reasonably quick. It's probably no surprise that I adore these fabrics, although the floral print is a bit girly for me. 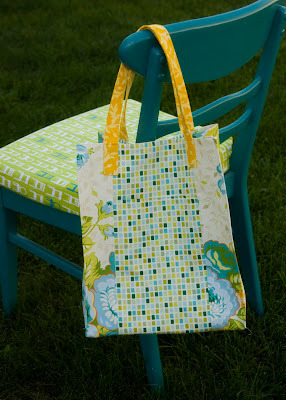 If I were to ever redo my blue chair though, I would choose the tile print in a heartbeat. I love it! Everyone seems to be making bags to take to Sewing Summit. I really wanted to join the club and make a fun bag to take. Since I'm traveling approximately 30 minutes to get to Sewing Summit, I didn't exactly need the Amy Butler Weekender that so many are putting together. This bag will be a perfect addition to my purse at the conference. It has a great amount of space for handouts, a water bottle, and little extras from the conference. It's also perfectly practical since I know I will get a lot of use out this in the future. The main change I made to the pattern was adding interfacing. I added a medium weight stabilizer to the outer lining. I added pieces of Peltex to the base of the outer lining pieces to give the bottom a nice stable base. I also added simple flat pockets to both sides of the inner lining. I have to say that I love the tile fabric too. I loved seeing the bag yesterday too but didn't have a chance to say it. I'm also excited to be the first to leave a comment! Cute! I always add more pockets when I make a bag. I love this pattern from Alicia Paulson. One year, I made 19 of the bags as Christmas gifts. Love it, Kati! :) Can't wait to see it in person! This is so great! I've been eyeing that pattern, and agreed on the tile fabric, so pretty! So cute! Now you're making me feel the desire to make a cute tote bag to carry to classes :) I love that new HB fabric you used, so pretty - reminds me of your City Green quilt! That's lovely...do I need another bag? No, but will I make more? Yes! 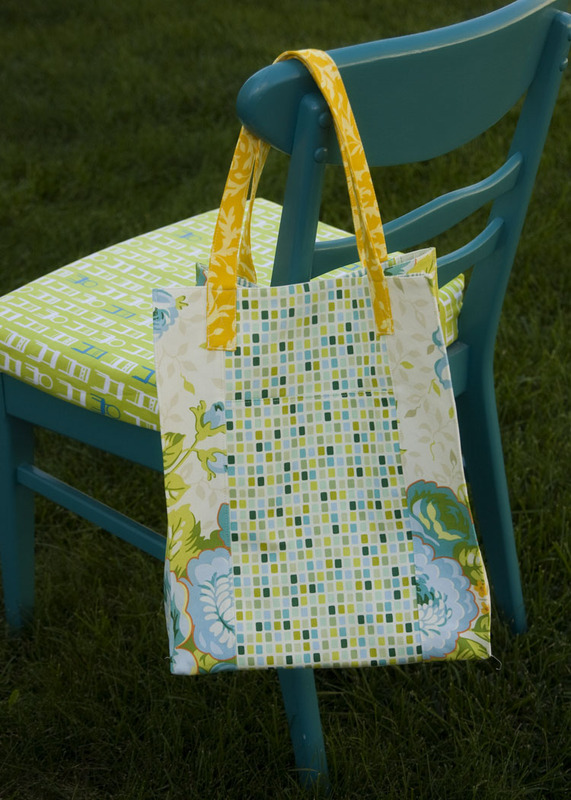 Lovely lovely bag, and the fabric is beautiful too. It looks fantastic and I simply love that the inside is as gorgeous as the outside! Looks beautiful. 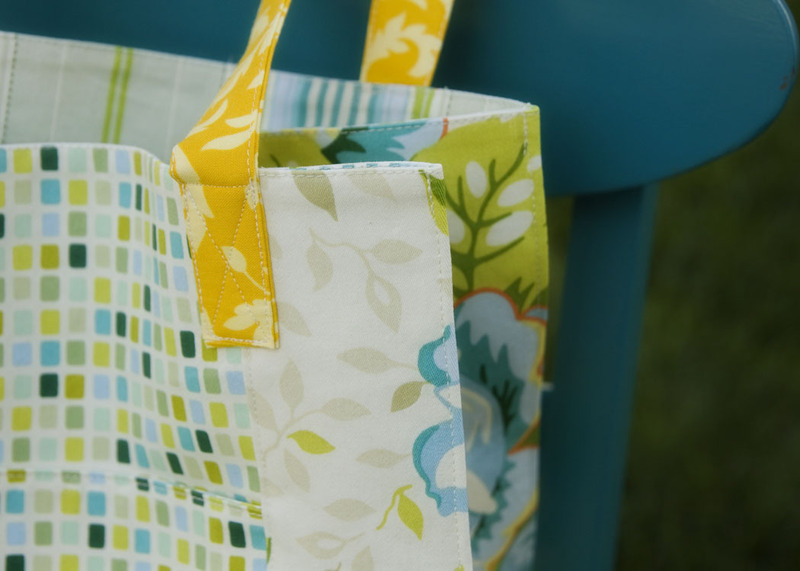 Love this bag - seems very versatile. Maybe a great gift bag too.